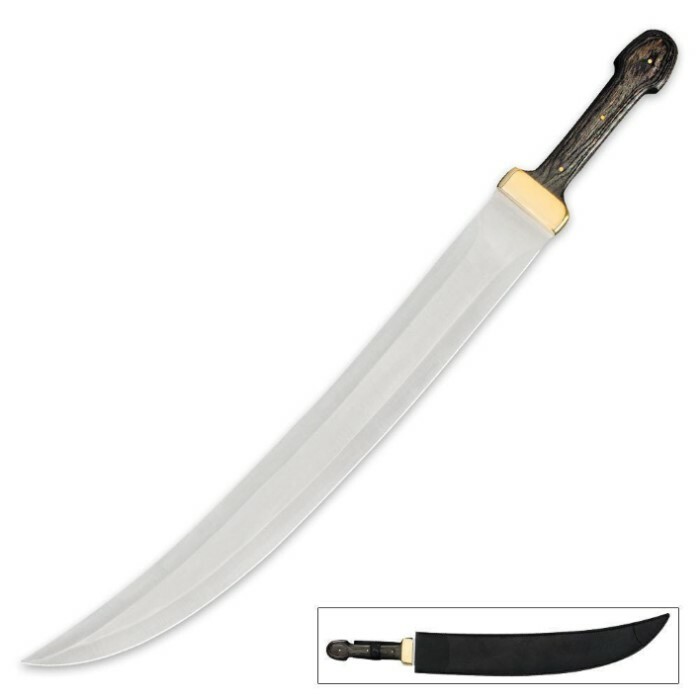 The wide stainless steel blade with scimitar geometry makes this full tang sword especially aggressive. Based on the historic Kindjal sword design, this piece is completed by the polished brass guard and brass tang pegs. The pakkawood handle has handsome grain and comes finished in blade. Includes leather sheath with belt loop. This sword measures 24 in. overall.